This scene occurred numerous times during the cowboy vs Indian era. Charles Goodnight had many encounters chasing and being chased by Indians bent on stealing cattle and/or horses. 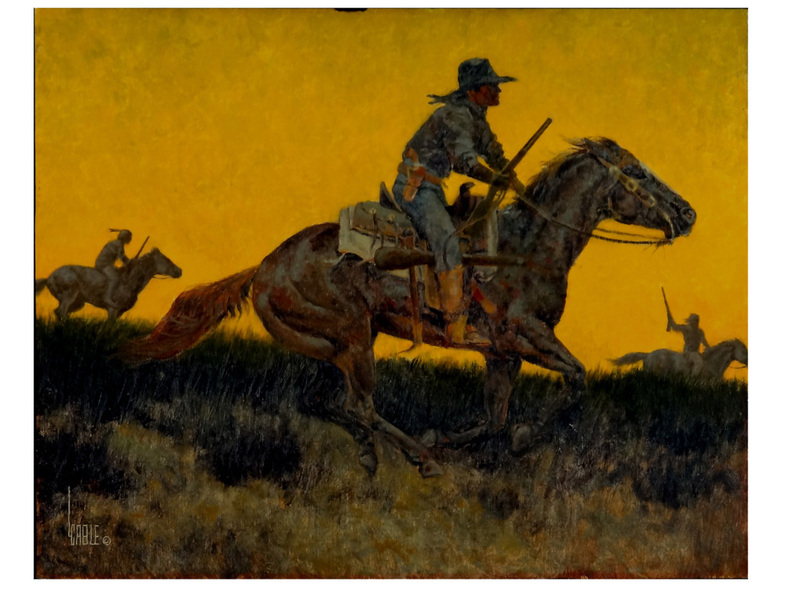 The occupation “cowboy” was a brutal, fearful and sometimes fatal endeavor. 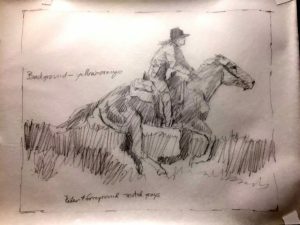 The original sketch was just a cowboy racing across the prairie. Later Mr. Parkman and I decided it needed to be telling a story for the Goodnight Series. Indians were added along with rifles to create more drama and a story line. The title was added to draw the viewer into the story. Who has “no more bullets”?